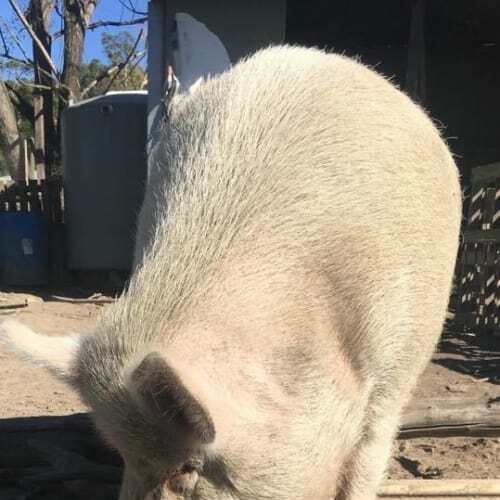 George is a big spoiled pig who currently resides in Oakford. At nearly four years old, George is a very big boy! He’s one of the biggest pigs we’ve seen and must weigh around 200 kg. Luckily he is a big friendly giant, who enjoys belly rubs and warm weetbix for breakfast.Unfortunately George’s parents are moving over East, and are unable to take him with them. They would love to find they’re beloved George a home where he is loved and spoiled. 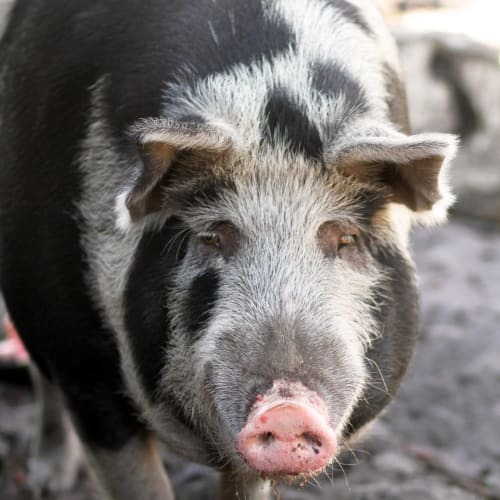 Hercules is a beautiful 3 yo piggy looking for a home where he can stay out of the mud over winter. 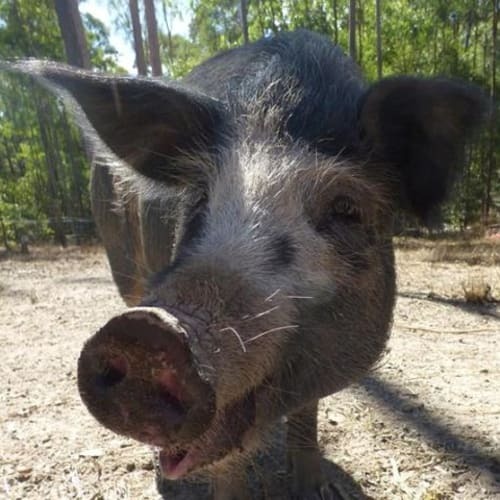 He loves foraging (as most piggies do) and loves a belly scratch!